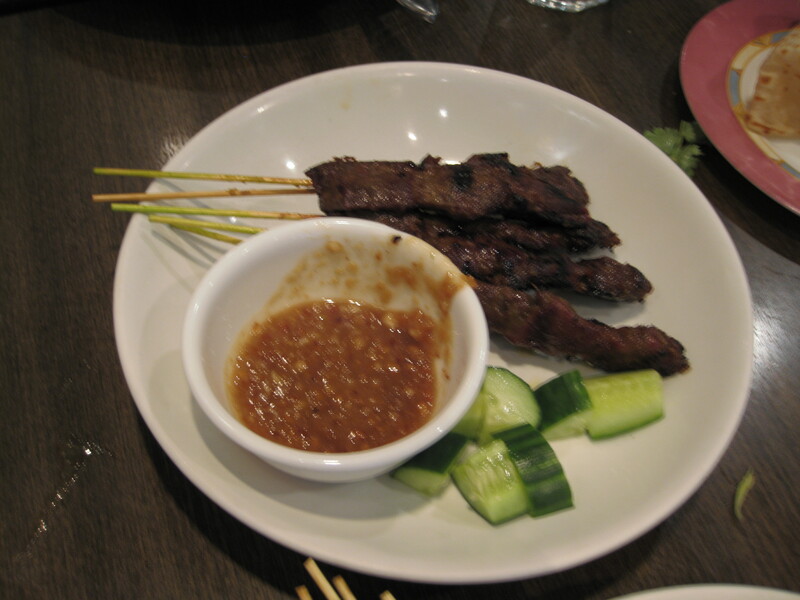 This past Sunday my friends and I went to Top Saigon at the Finch-Leslie Plaza for lunch. The decor reminds me of a Hong Kong style cafe and the lighting is quite bright. 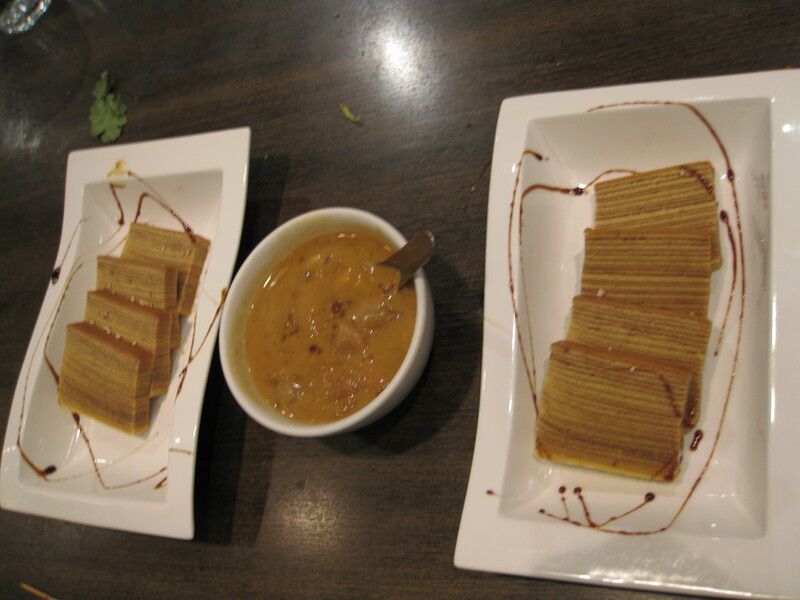 My friend said that it was a Thai-Viet restaurant but to me it had a more Chinese or Hong Kong cafe feel to it. Most of my friends ordered a curry dish. 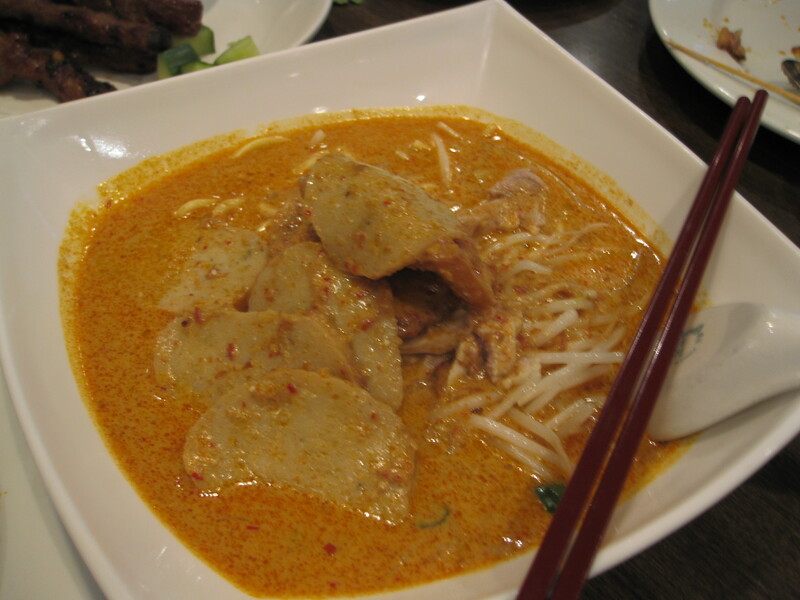 Their curry options include curry lamb and curry duck. 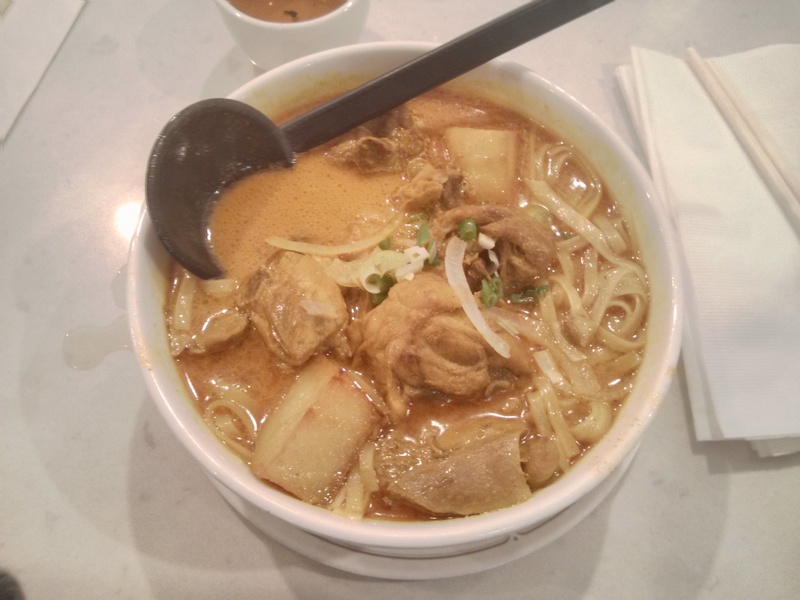 I had a small Curry Chicken Noodles in Soup ($6.25). 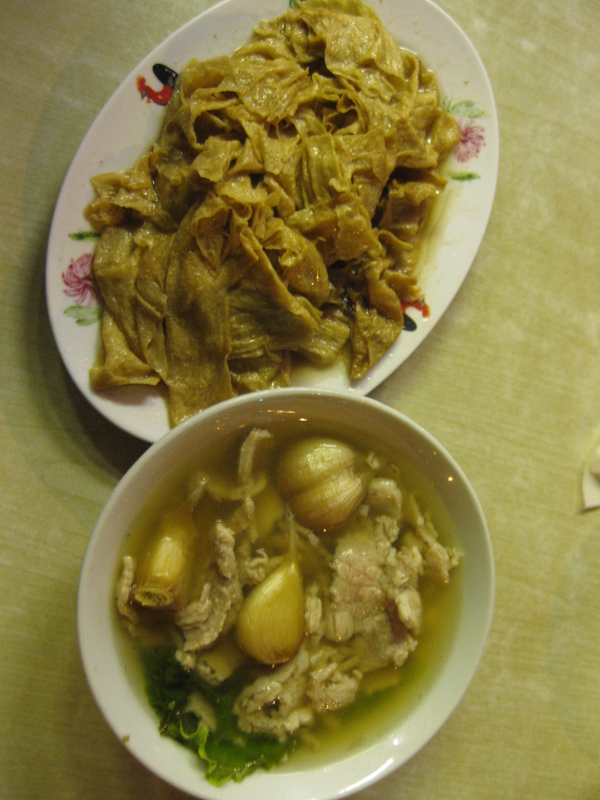 The dish is potatoes, chicken and noodles in a curry soup broth with onions as garnishing. The curry is really good although I would have preferred the chicken to be deboned. Their quality of potatoes could be better but their chicken is quite good. The portions are quite large since I wasn’t able to finish the small portion. 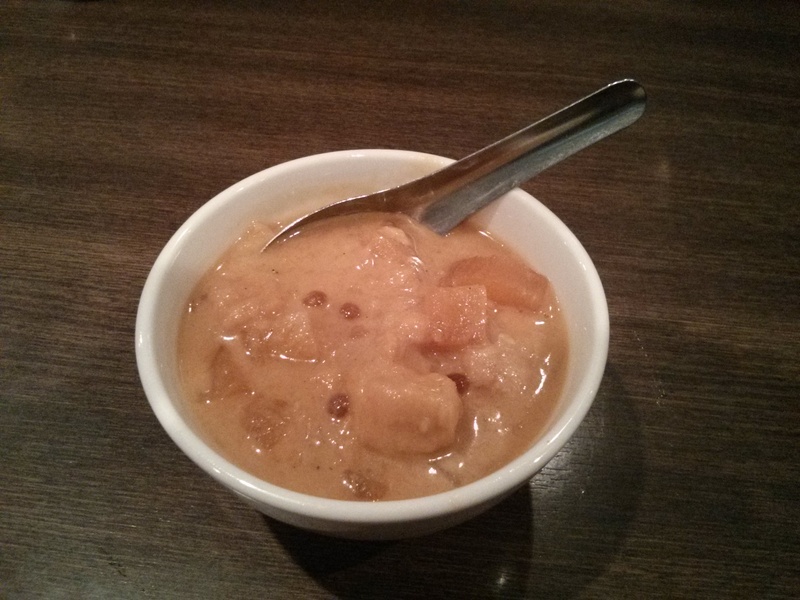 Overall, this is a good restaurant to try if you’re in the area and craving curry. Yesterday, a childhood friend and I went all the way to Mississauga for me to satisfy my bak kut teh craving. Restoran Malaysia doesn’t serve bak kut teh and Gourmet Malaysia has a variation of it called Bak Kut Teh (Chicken Hot Pot) priced at $28.99. Lion City Restaurant is slightly hard to find if you’re not familiar with the area and the restaurant’s exact location. The size of this restaurant is smaller compared to the size of Restoran Malaysia and Gourmet Malaysia. The decor is typical of a Chinese restaurant. 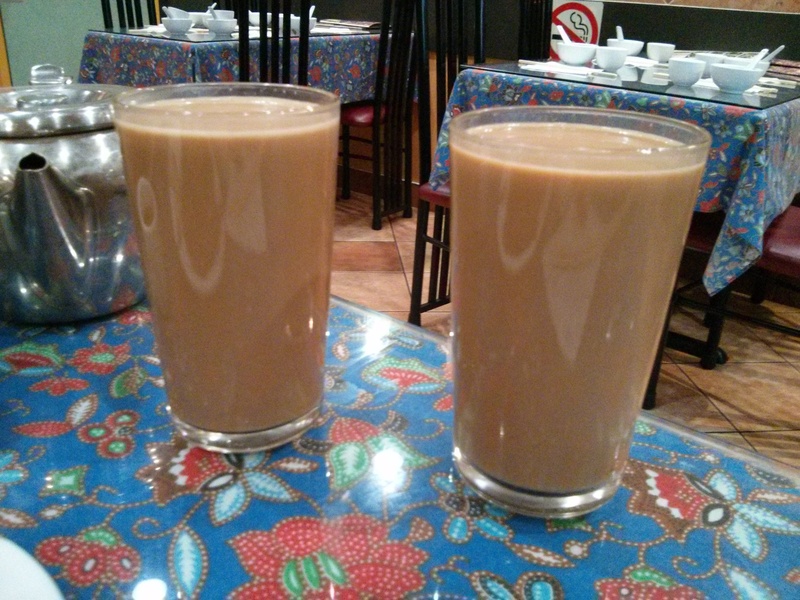 We ordered bak kut teh ($6.95), fried kway teow ($7.95), nasi lemak ($7.95) and teh tarik ($3). 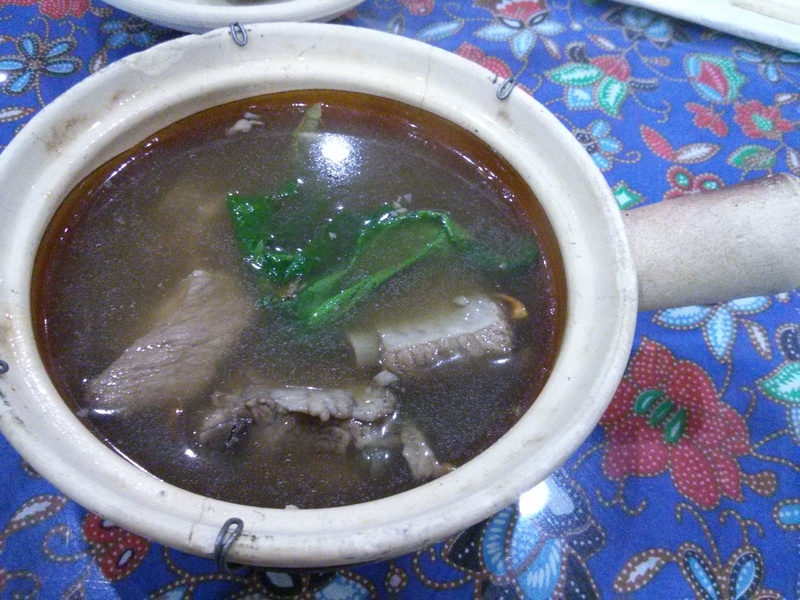 Bak kut teh is herbal pork rib soup. The flavour is as authentic as the ones I had in Singapore. I would have preferred more meat in the soup at Lion City Restaurant. 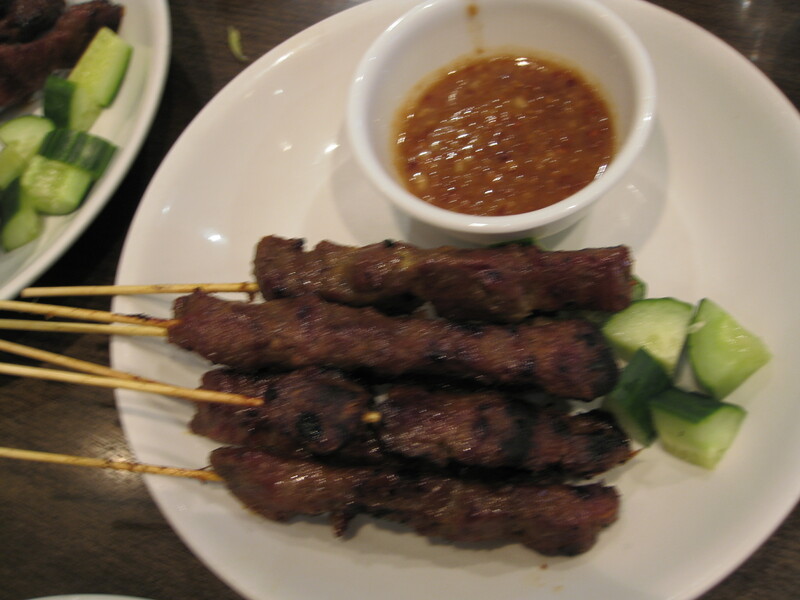 The meat itself was soft, flavourful and tender. My friend enjoyed the dish. She thought the meat was very tender though she didn’t like how the soup had MSG in it. 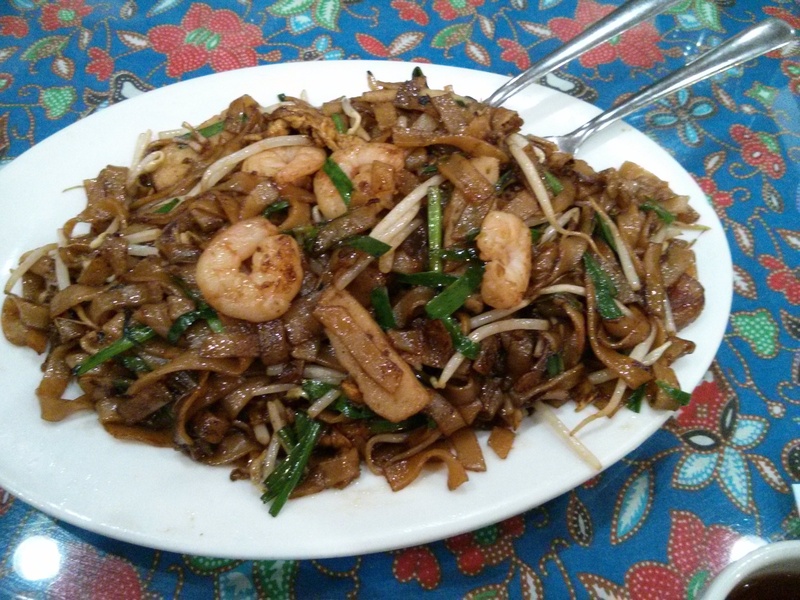 Fried kway teow is fried rice noodles with shrimp, chinese sausage, egg, fish cake, beansprouts and chives. It’s not as authentic as the ones I had in Singapore and not as good as the one I had at Gourmet Malaysia but it’s just as good as the one I had at Restoran Malaysia. 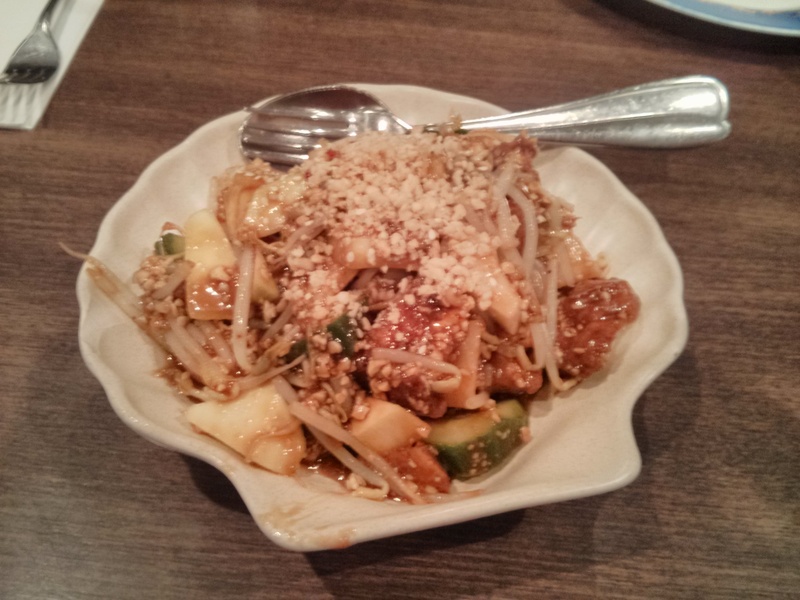 My friend liked the dish and found it interesting but nothing special. 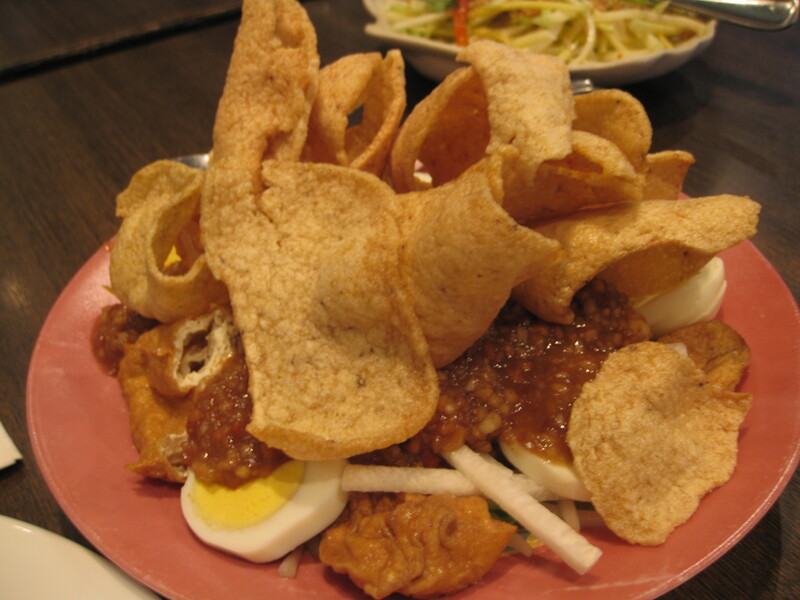 Nasi lemak is coconut rice with cucumber, fried egg, sambal, otak, and kambong. 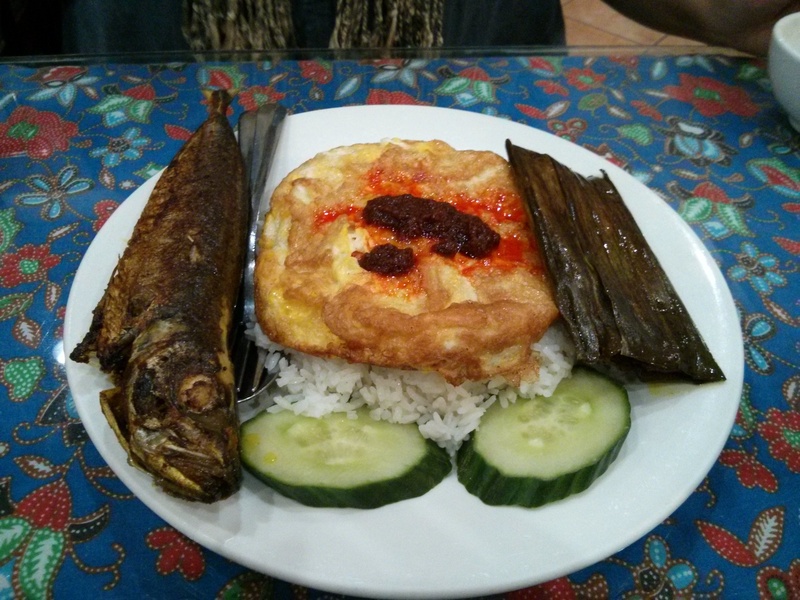 The restaurant serves nasi lemak with either kambong (mackerel fish) or ikan bilis (dried anchovies). Sambal is a spicy chili paste that’s quite prevalent in Indonesian, Malaysian and Singaporean cuisine. 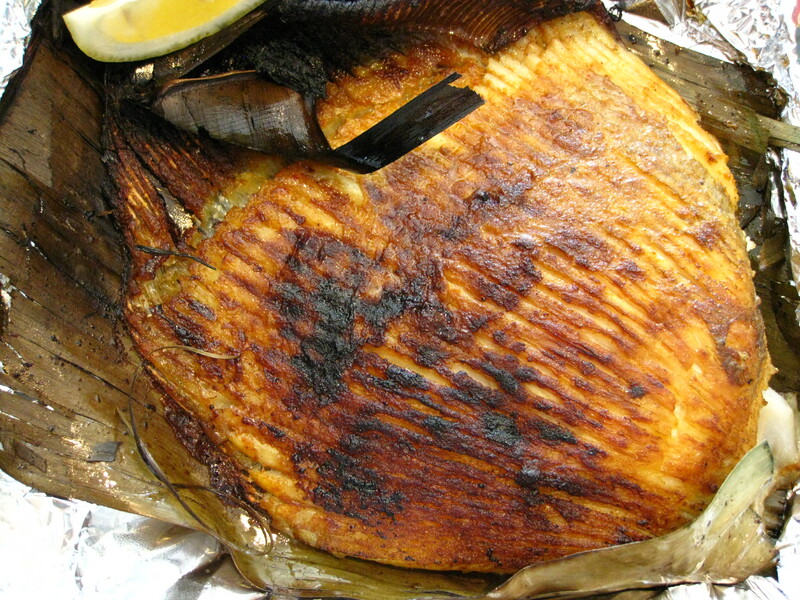 Otak is fish paste wrapped in a banana leaf. The dish was ok. I liked the sambal, otak and coconut rice. I would have preferred ikan bilis over kambong however it’s my personal preference. 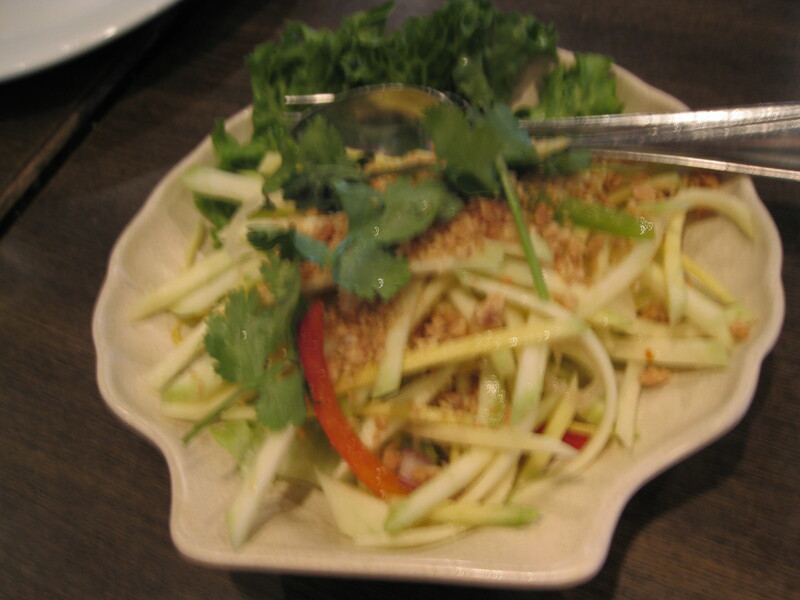 My friend really liked the coconut rice because she found it quite fragrant. 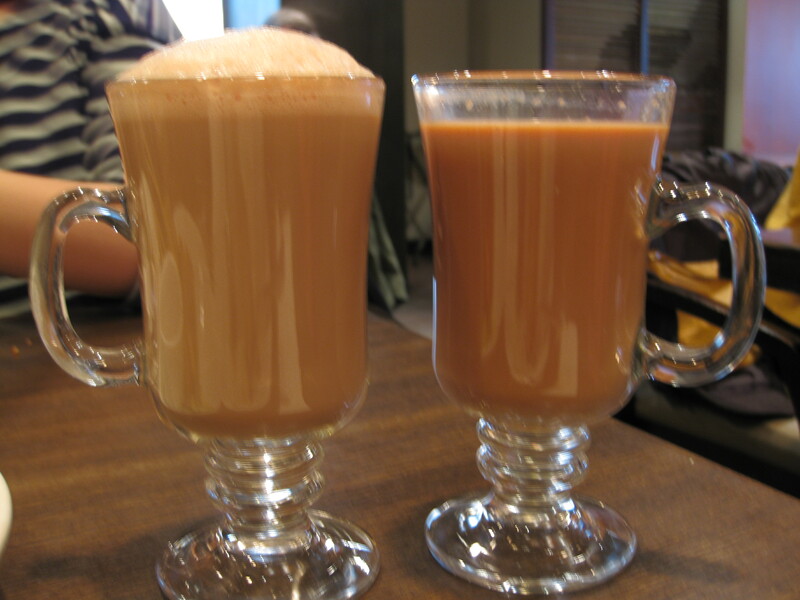 Teh tarik is pulled tea. 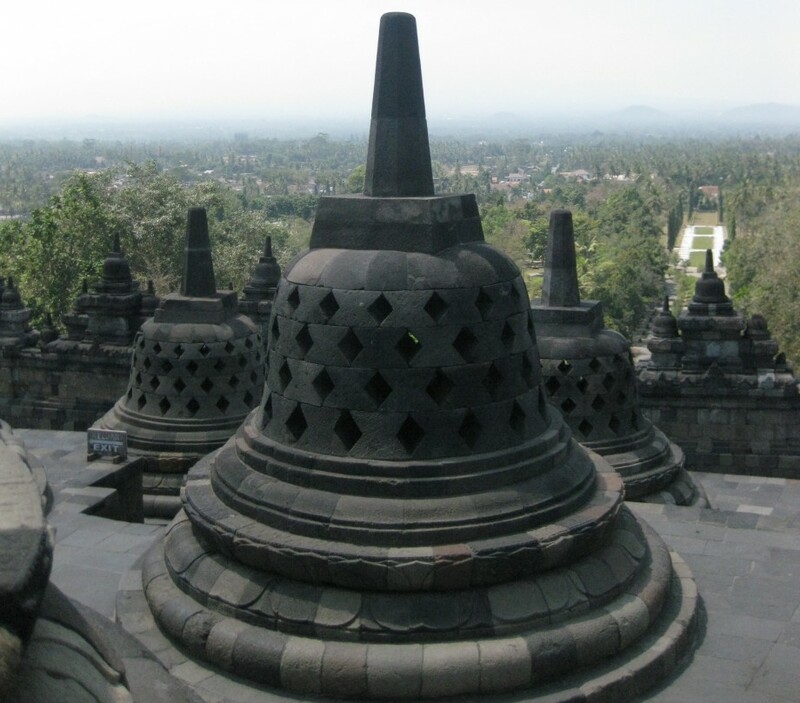 It’s as authentic as the ones I had in Singapore and at Restoran Malaysia. My friend enjoyed it. Overall, if you’re in Mississauga and you want to eat Singaporean or Malaysian cuisine then it’s a decent restaurant however for somebody who’s from the east side of Toronto, it’s not worth the drive all the way to Mississauga during rush hour traffic for dinner unless you have to satisfy a huge craving for bak kut teh. My colleague and I wanted to eat stingray in Toronto. Restoran Malaysia doesn’t serve stingray so I was on the hunt to see if I could find any restaurant in the GTA that would serve it. 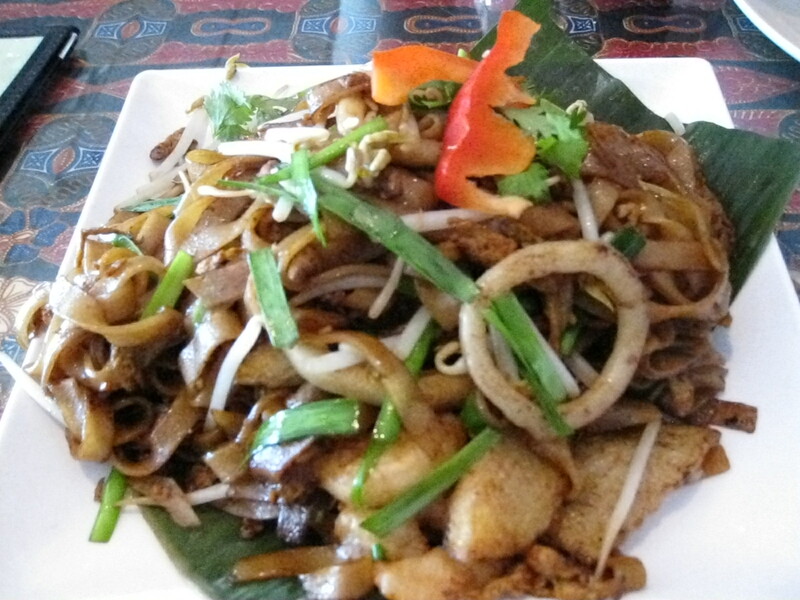 I came across Gourmet Malaysia and we decided to go on the first Saturday of August for lunch. We ordered poh pia ($3.80), ikan bakar (banana leaf grilled stingray) ($16.99), Penang char kwei teow ($7.80), Hainanese Chicken Rice ($7.80) and chendol ($3.99). When I was in Singapore, I was fortunate enough to be able to have homemade popiah at a fellow local colleague’s home. She had prepped everything and all we had to do was put whatever toppings we want in it, roll it up and enjoy it. 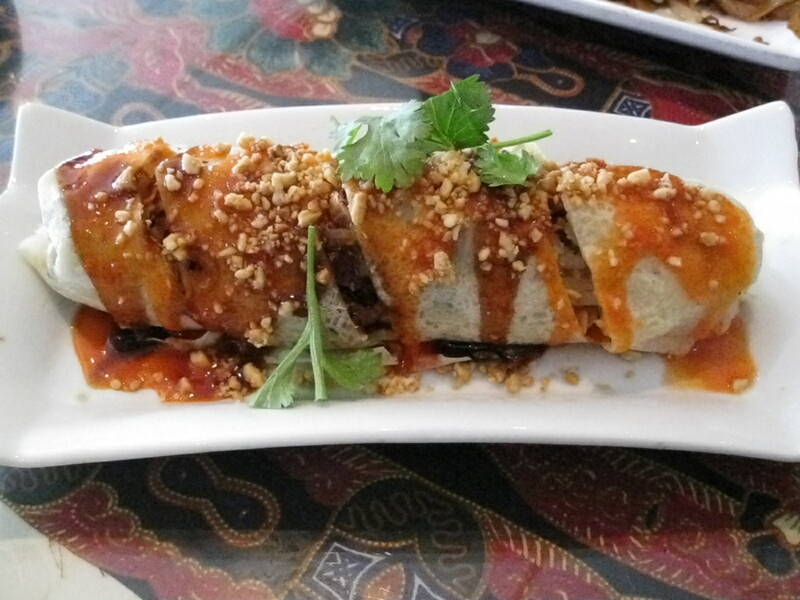 The homemade popiah was crammed with lots of stuff and the roll was quite moist which made it very delectable. At Gourmet Malaysia, the poh pia isn’t very moist and the filling isn’t as varied. Poh pia is a crepe roll with vegetables and egg. The poh pia was ok but nothing like the ones I made at my fellow colleague’s home in Singapore. My colleague in Toronto enjoyed it alot more than I did. 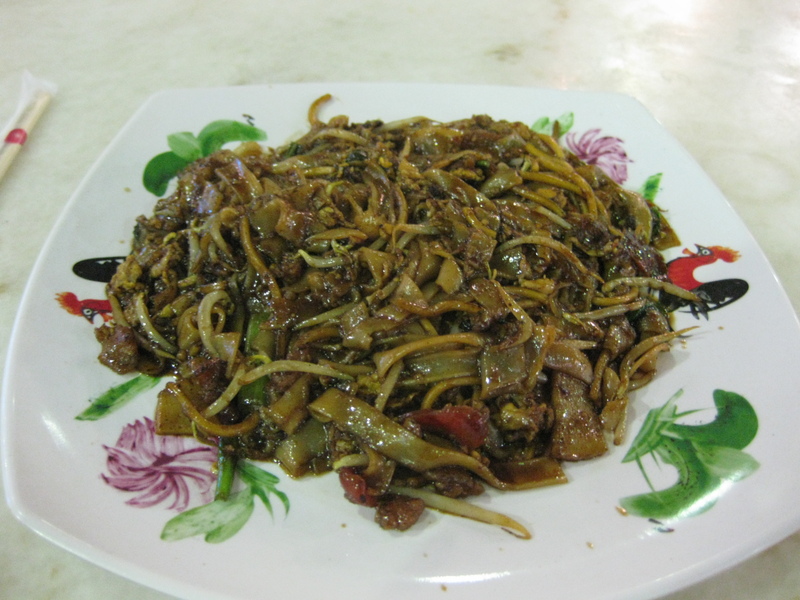 The fried kway teow at Gourmet Malaysia is way better than the fried kway teow at Restoran Malaysia however it is still slightly lacking compared to the ones I had in Singapore. 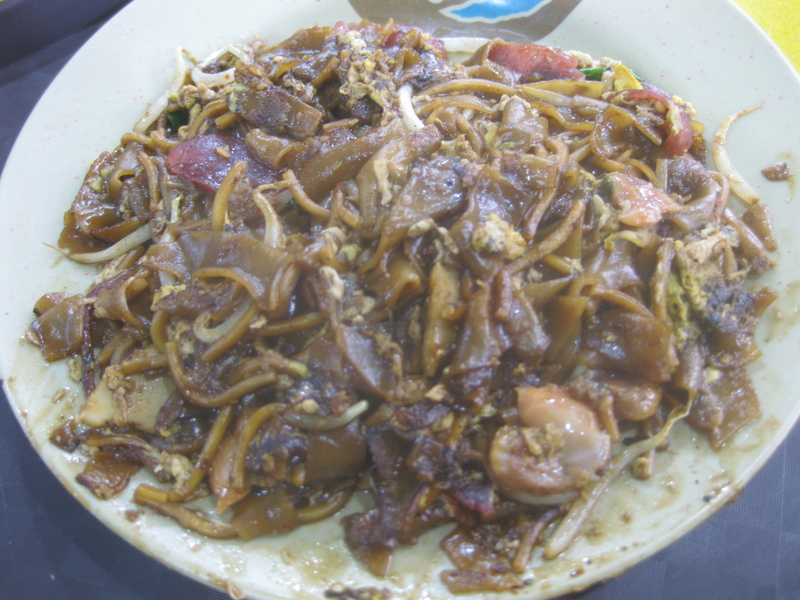 The fried kway teow at Gourmet Malaysia is fried hor fun noodles with seafood served on top of a banana leaf. 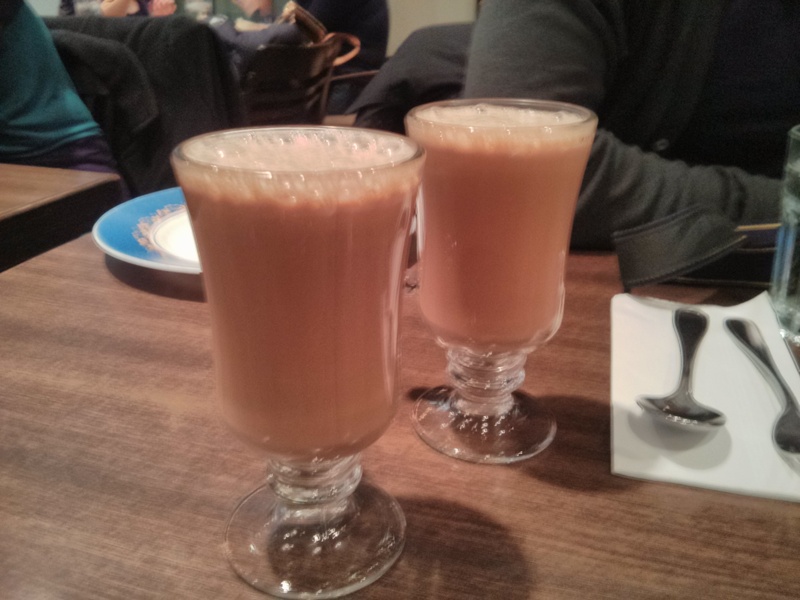 My colleague and I found it very delicious all things considered. The Hainanese Chicken Rice at Gourmet Malaysia isn’t as authentic as the ones I had in Singapore. 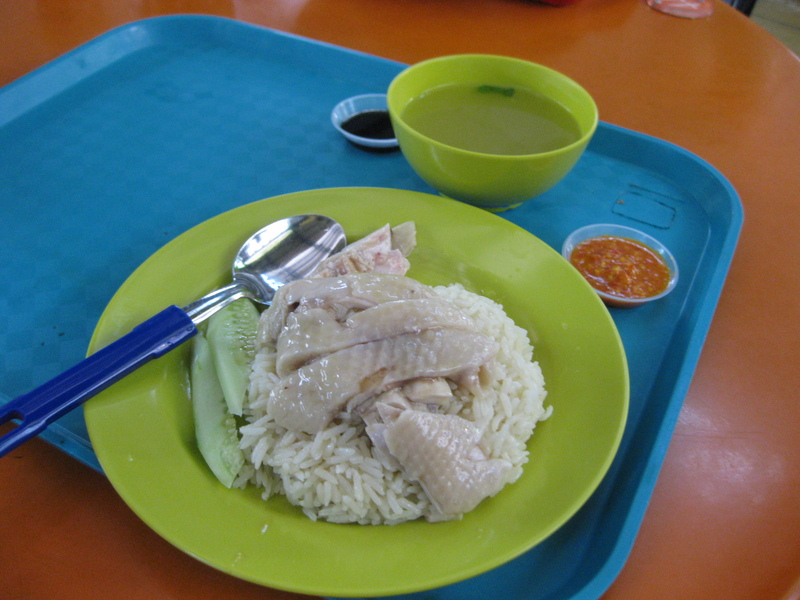 I absolutely love the Hainanese Chicken Rice at Tian Tian Hainanese Chicken Rice stall at Maxwell Hawker Center. 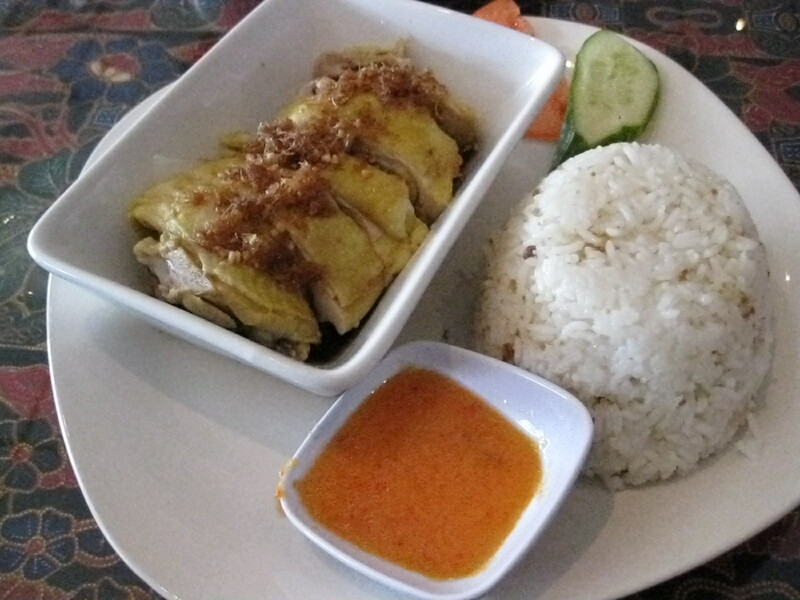 Hainanese Chicken Rice comprises of chicken, spicy chili sauce, black sauce, vegetable garnish (typically cucumbers and/or tomatoes) and rice. The chicken meat at Gourmet Malaysia wasn’t as soft, silky and smooth as the chicken meat at Tian Tian. 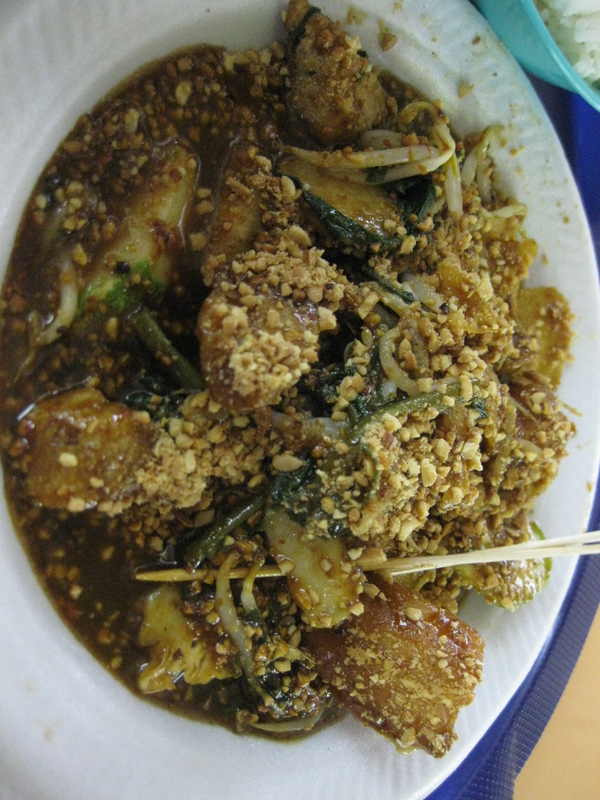 It also lacked the black sauce that you can find with any Hainanese chicken rice dish served anywhere in Singapore. My colleague liked it while I wasn’t a huge fan of it although it tasted good for chicken rice. 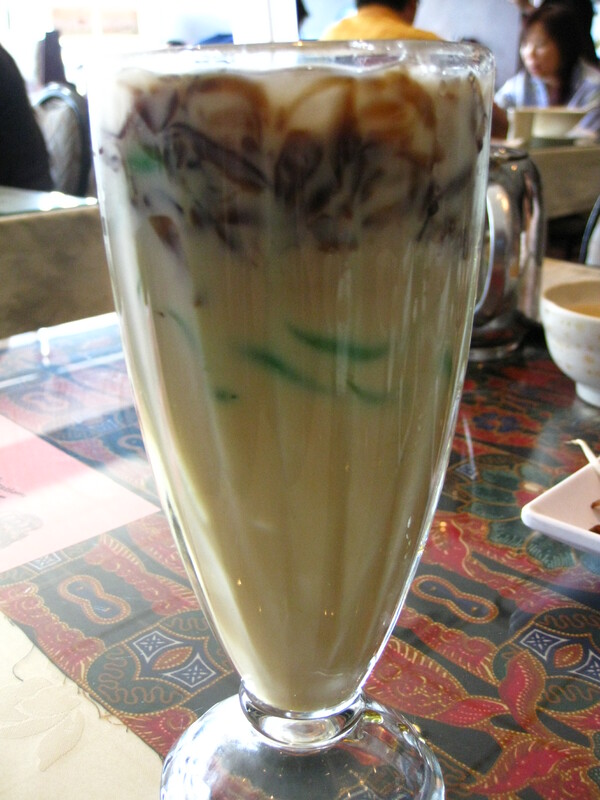 Chendol is coconut milk, ice, green jelly noodles and grass jelly. It was very delicious and quite authentic. I would have preferred it with less ice though. 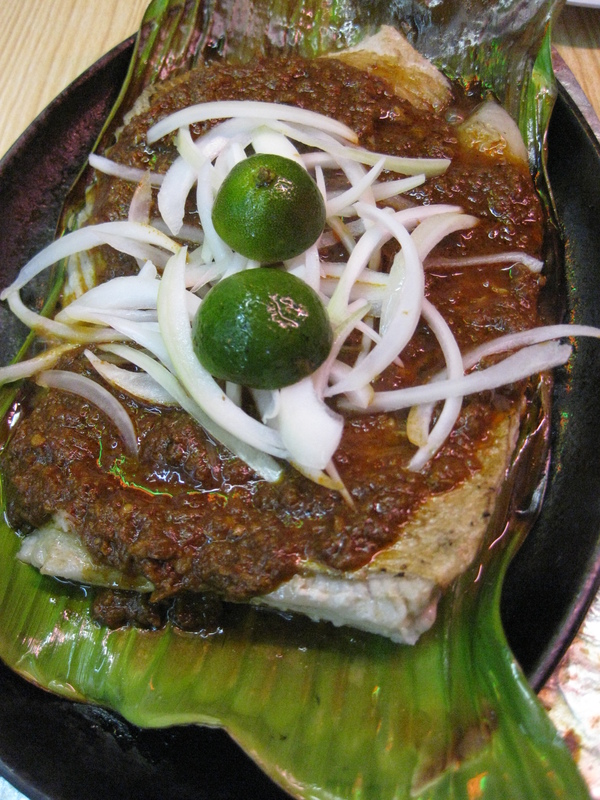 Ikan bakar also known as grilled stingray on a banana leaf is fairly authentic compared to the ones I had in Singapore. My colleague and I loved it. In order to eat the stingray, you first squeeze the lemon wedge all over the stingray then you use the fork and spoon to slice the stingray into pieces and serve it. 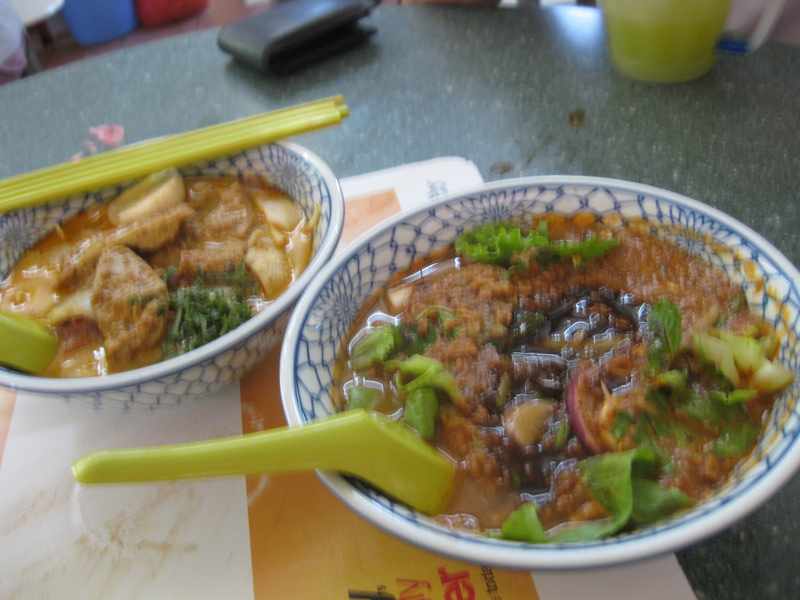 In Singapore, the restaurants and hawker centers only give you a fork and spoon to use. Unless you ordered steak, you’ll be able to get a steak knife. 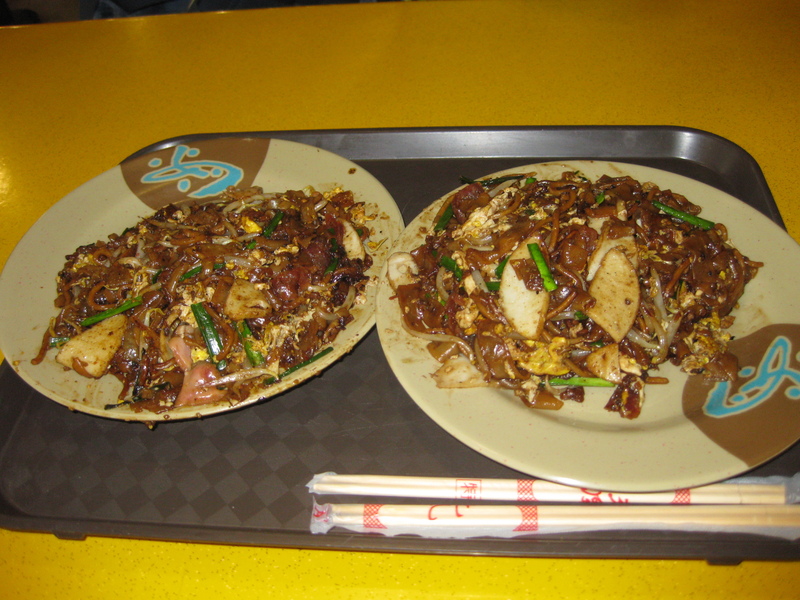 When you stay in Singapore for some time, you learn to just use a fork and spoon to cut food into pieces. 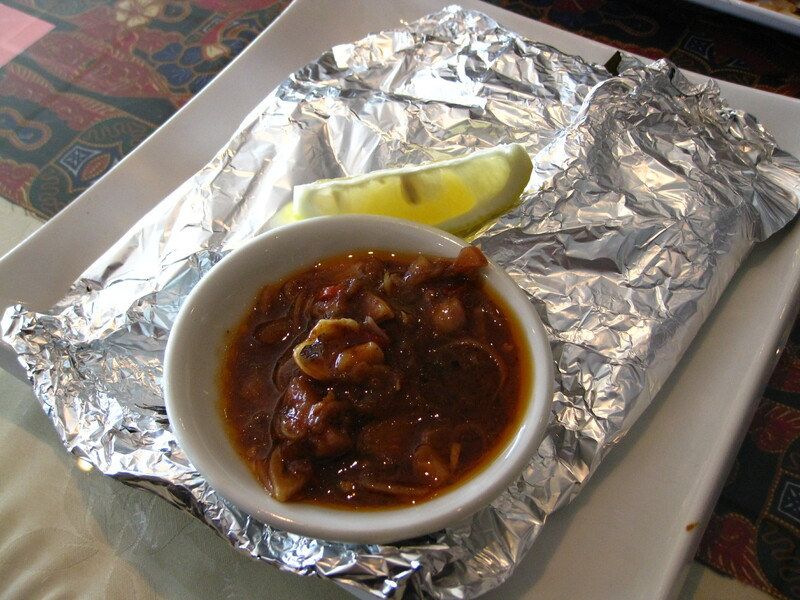 The sauce we’re given is spicy so if you can’t handle spicy then eat it without the sauce. My colleague prefers the stingray without the sauce while I prefer it with the sauce. I would have liked the stingray more if the sauce was drizzled all over the stingray and grilled along with it so that the stingray could really soak up the spiciness and the flavours. 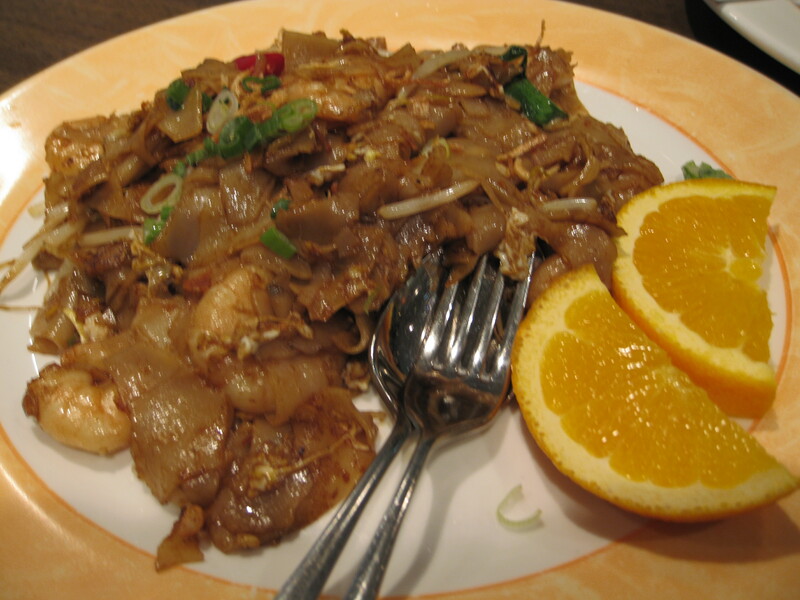 Overall, I would recommend this dish to everybody unless they are allergic to seafood or they don’t like to eat seafood. 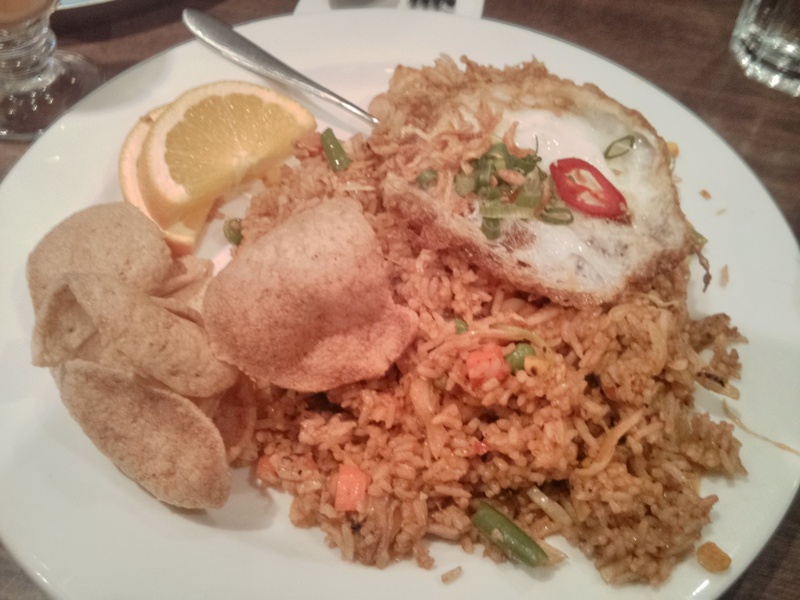 Overall, now that I’ve been to two Malaysian/Singaporean restaurants in Toronto, I recommend Gourmet Malaysia over Restoran Malaysia. 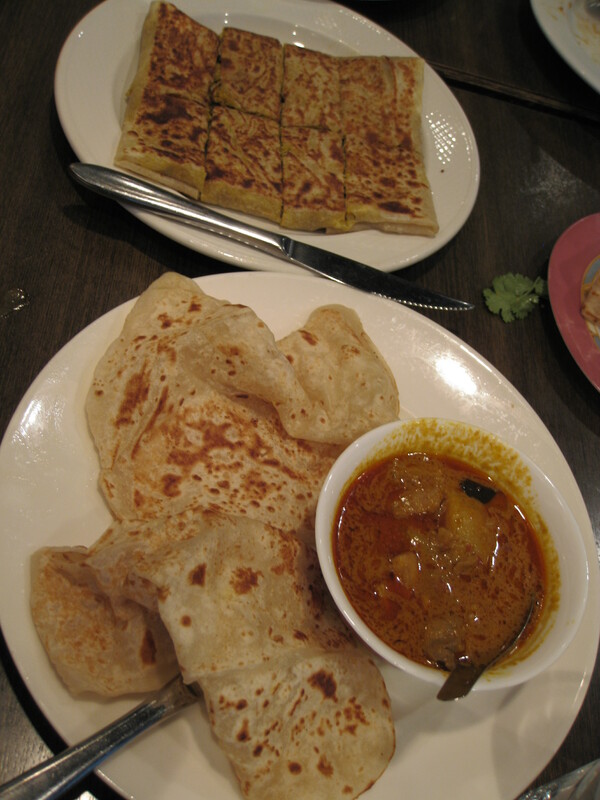 There is more variety of food at Gourmet Malaysia and in general, the food is more authentic in comparison. 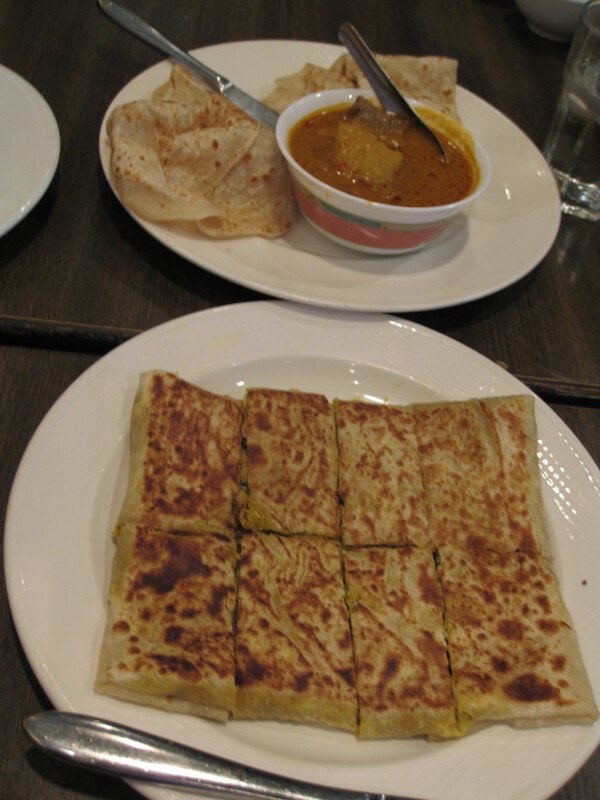 Gourmet Malaysia is also nicer on the wallet compared to Restoran Malaysia. 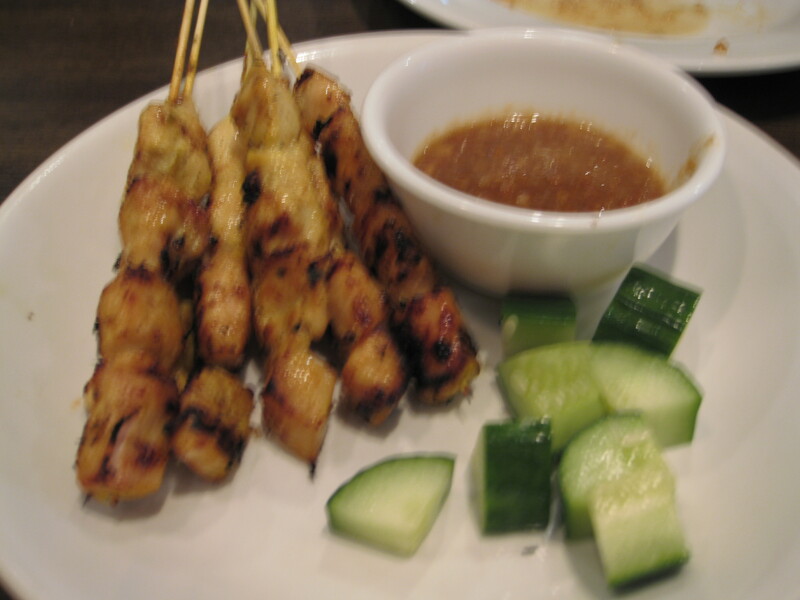 If you’re in the mood for authentic Singaporean/Malaysian cuisine then go to Gourmet Malaysia! Here’s a list of restaurants I love going to in Toronto (Downtown Toronto, North York, Scarborough, Markham/Richmond Hill).